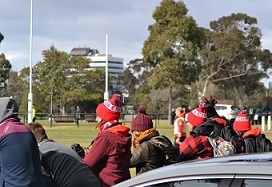 Round 5 Grading matches and the Division 2 Grand Final were played at Royal Park today. It was four seasons in a day (well maybe not summer) but sunshine, wind and rain all played a part. Harley Vague quickly summarised today's matches before putting on the glad rags and heading to the gala. The Division One battle for 7th place promised a mighty battle between two sides that had tasted victory just once each across the tournament. Both sides had put up fighting efforts and while Fiji were favourites against 2011 rivals the French Les Coqs for the Tribe’s only win, the Canadians perhaps pinched one to get over Great Britian in the school round. 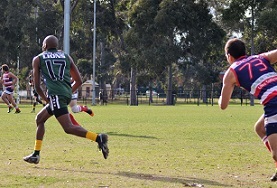 Ironically both sides performed almost identically against the unbeaten NZ Hawks – produced a goal each in total as arguably the tournament favourites exerted their will. The fifth game for each team - in 2 weeks - as the Canadian coach put it before the game "I know you're sore, they're sore too - who's tougher?" The final Friday asks more of many players than they imagined they could draw upon - as evenly matched opponents produce some of the most entertaining and fiercely fought matches of the tournament. And not letting anyone down - this match went down to the wire. 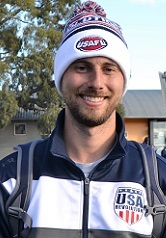 The GB Swans have had a rapid rise to fame in International Cup terms. 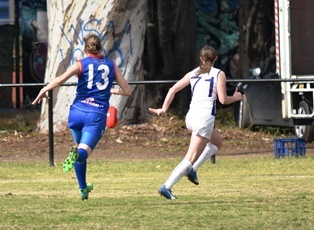 Finishing strongly in the last quarter of today’s match to take third place in the Women’s Division. 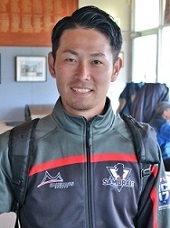 The Americans, much more established and of enough depth to bring two squads to Australia will be disappointed with their fourth place finish after a loss to the International Cup newcomers. The match began in very ordinary weather with a strong wind blowing across the ground with some rain mixed in for good measure. The GB Swans suffered an early blow with Ellie Sutherland being carried off with what looked like a bad ankle injury. The Division One wooden spoon battle – or the fight for 9th place – sees two sides that have had a tough time of it over the previous two weeks. South Africa Lions with just the one hard fought win a week earlier under lights in Geelong against Fiji. Meanwhile Les Coqs Français have been outgunned in each game, although have flown the flag valiantly and not failed to score at least 2 goals in any of their outings. Also note the AFL are live streaming most matches here. 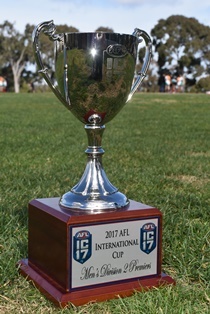 The 6th AFL International Cup wraps up with Men’s Div 1 and Women’s Grand Finals to be played on Saturday. 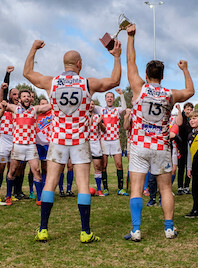 The Men’s Div 1 will crown the 6th AFL International Champion. The two competing nations – the New Zealand Hawks and the Papua New Guinea Mosquitoes – have been here before. In fact – PNG have featured in every decider thus far however must consider themselves a tad lucky to have made it there this year. Having won in IC08 and IC14, PNG are hoping to become the first nation to go “Back to Back”.